Obituary for Lavern ("Dave") Lang | Frank F. Gigler Funeral Home, Inc.
Lavern David “Dave” Lang, 84, of Lower Burrell, died on Saturday, March 23, 2019 at his 2nd home in Myrtle Beach, SC. He was born in Bellevue, Pa. He was the son of the late Earl and Mildred (Johnson) Lang. Dave was a Korean Army war veteran. 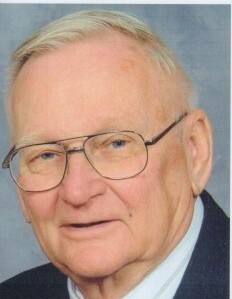 He was a retired Manager for AT&T Telephone Co. for over 30yrs. He truly enjoyed his 2nd home in Myrtle Beach, being a beach bum. He was an avid reader along with working on homes and camping. However, his pride and joy was spending time with his grandchildren and great grandchildren. He is survived by his beloved wife of 56yrs to Carol McElwain Lang. Dave is the dear father of Shawn D. (Lisa Perri) Lang of W. Leechburg and Brian E. Lang (Darlleen Jackson) of Washington, DC. ; Brother to Marjorie Montanari of Lower Burrell; Loving grandfather of Phillip (Jennifer) Lang of Apollo, Daniel Lang of Lower Burrell, Harley Perri (Eric Schneider) of Manassas, Va., Kayla Slusar of W. Leechburg, Myia Swann of Washington, DC., and great grandfather of Davon Swann, Austin Gregory, Kaycie Dean, Logan Lang, Cason Lang, Skylar Swann, Tristan Lang, and Finn Schneider. Family and friends received from 2-4PM and 6-8PM Wednesday at the Frank F. Gigler Funeral Home, Inc., Robert P. Karish, Supervisor, 2877 Leechburg Rd., Lower Burrell, Pa. 15068 (724-335-6500) where funeral services will be held on Thursday at 11AM with Rev. Ken Foust officiating. Interment will follow in Greenwood Memorial Park with full Military Honors by the Vandergrift Veterans Honor Guard.